You are invited to Jazz Night with Quyen Van Minh & Band “East Meets West” featuring Western jazz standards & jazzy interpretations of Vietnamese compositions. Artist of Merit Quyen Van Minh is considered by many to be the first jazz saxophonist of Vietnam. Throughout his 40 years of music career, he has performed in many concerts inside and outside Vietnam, at the same time, met and played with some of the most promient jazz musicians in the world, including piano legend Herbie Hancock. 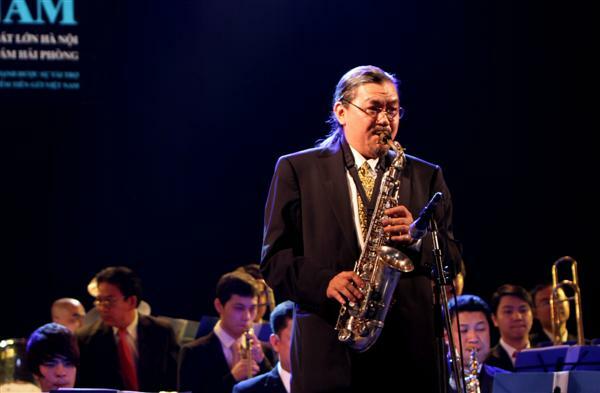 With an immense love and passion for jazz, Quyen Van Minh and his son, jazz saxophonist Quyen Thien Dac have played an important role in developing and popularizing this music genre in Vietnam. Free entry. Please email to barbettacenter@gmail.com to reserve the best seat! You are kindly requested to inform us your name, your handphone number, number of yours, what time you will be at our place… in order to have perfect preparation. Your seats will be holded until 8.40pm. Without registration, you can still attend the event but you may have to stand due to limited seats available!